The 8.5-hectare Kusu Island also known as Peak Island or Tortoise Island in Chinese, or Pulau Tembakul in Malay is located just 5.6 km from Singapore. The island is santuary for tortoise, and is also the place for annual pilgrimage held during the ninth Lunar month around September and November. 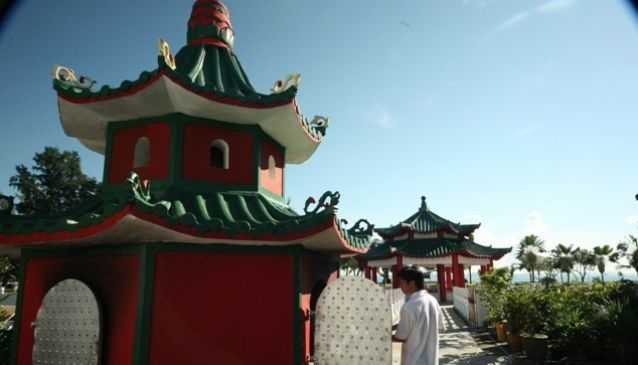 Thousands of devotees take the ride from Marina South Pier with Singapore Island Cruise to pray the two main deities Da Bo Gong and Guan Yin at Kusu Island's Da Bo Gong Temple for good health, peace, happiness, good luck and prosperity. Kusu Pilgrimage 2014 Kusu Pilgrimage 2014 will be from 24 Sep 2014 to 23 Oct 2014. The island is also famous among Singapore's Malay community for its three kramats (holy shrines of Malay saints). Many devotees will climb the 152 steps to pray the kramats for wealth, good marriage, good health, harmony and also fertility. Overnight stays are not permitted on Kusu Island.